There are many options to choose from to air condition your home. The most cost effective method is to install a refrigerated ducted system throughout the home allowing you to cool the home in summer and heat in winter. The advantage of a refrigerated ducted system is that it allows you to have total flexibility and control of your indoor climate. There are many companies offering air conditioning and you will find the prices for like brands will differ significantly which can be very confusing as you will be making a significant investment. The difference in pricing will be due to the different qualities between the components (air delivery system) that are used. These components are items such as duct, diffusers and duct fittings. All flexible duct and duct fittings have an R value (insulation) rating. A higher R value rating means better density insulation which will give you a more economical system to operate. The Australian standard for new homes is R1.0. For established homes there is no standard which means that a company could legally supply you with insulation with a value of R0.6 or less which will be much more expensive to run in a hot roof space. At Crispair our standard duct for new or established homes is R1.0 with an option to upgrade to R1.5. 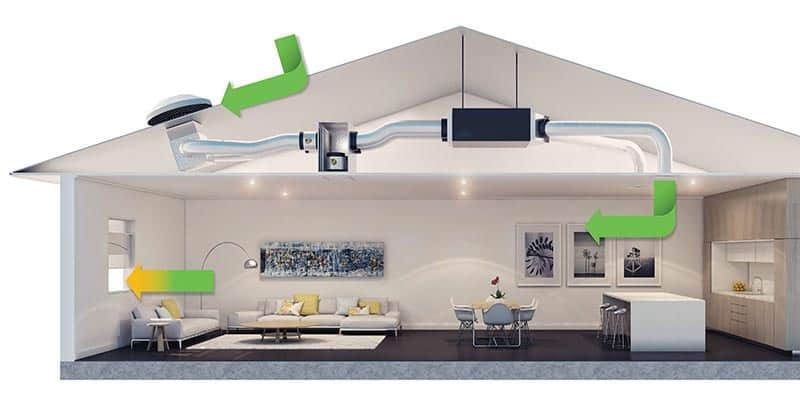 In Australia’s harsh climate, in order to enjoy year round comfort throughout your home, you need an equally high quality air distribution system. Crispair pride ourselves in offering you the best in innovation and energy efficiency. Quality insulation gives you an enormous benefit in reducing running costs. On a 35 degree Australians summers day, the void beneath a white Colourbond roof can be 41-55 degrees. Traditionally, this is where a lot of your air conditioning units capacity is lost – through poorly insulated or leaking ductwork and fittings. Our components are broken up into 4 main areas being iZone, iSave, iMaxi and iPure are listed below. 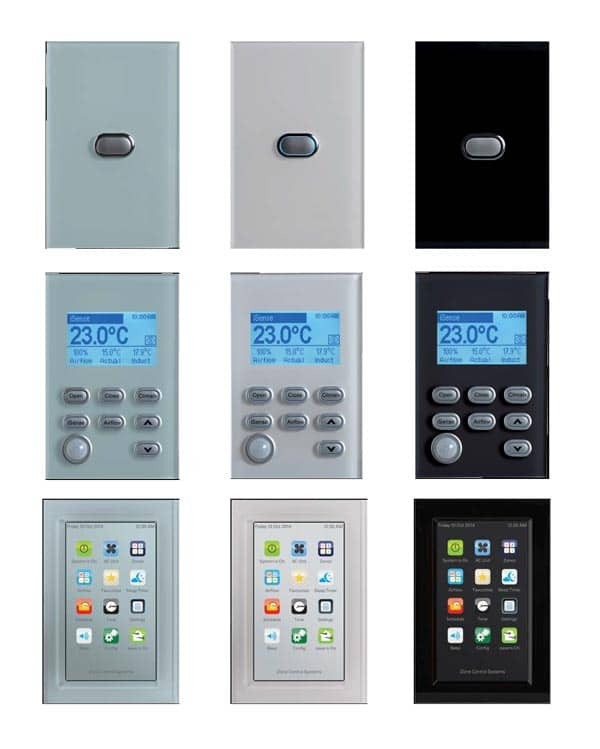 For total control of your air conditioning system the intuitive iZone320 has all the features and benefits. Designed in WA the iZone320 not only looks great but has many energy saving benefits and with a 10 year warranty gives you peace of mind. Operate up to 12 zones. Built in wifi app giving you the ability of controlling your system from anywhere, wirelessly or via 4G. Option to upgrade to iZone room sensors giving you the ability to have different rooms on different temperatures. Option to upgrade to the energy saving iSave outside air system. Compatible with both Daikin and Panasonic systems. With a range of fascia colours and customisable home screens, say goodbye to the white plastic box and select a controller that compliments the décor of every room. iSave maximises the cooling efficiency of your ducted reverse cycle air conditioner to save you money. 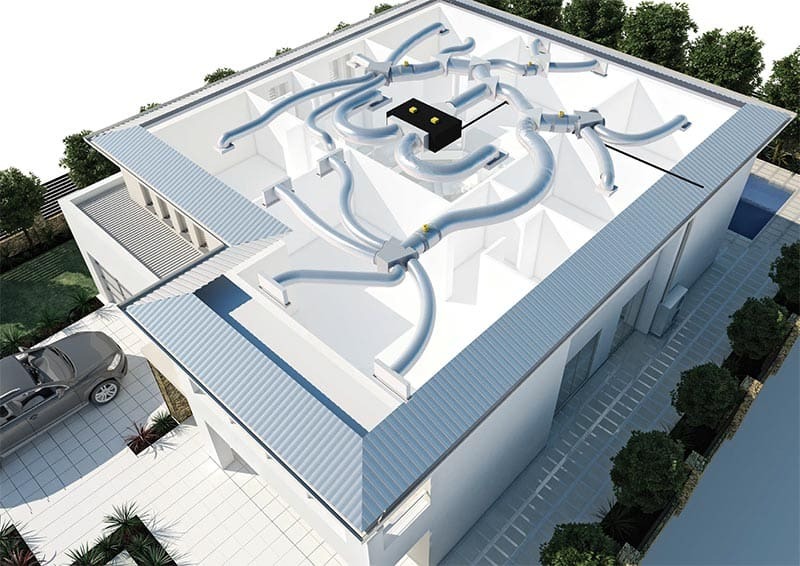 This revolutionary innovation makes use of cool filtered outside air to lower the temperature of your home and drastically reduce your running costs. Great for cool summer nights where with the push of a button you can use 100% fresh air to cool your home. iMaxi ensures optimum energy efficiency and performance of your system. The key to cost effective air conditioned comfort lies in the efficiency of your air distribution system and the quality of its component parts. The greater the insulation value of the component parts, the more energy efficient your air conditioning system will be. All iMaxi ductwork and fittings are constructed with a minimum of R1.0 insulation. Compare this to other quotes you receive and demand the best. When installed with your system the iZone320 controller enables air to be accurately measured and adjusted by an engineered variable air volume damper. Enjoy cleaner air in every room with iPure. iPure is an optional high quality air filter that is installed in place of a standard return air grille resulting in a cleaner and healthier indoor environment. Breathing airborne pollutants often triggers allergy, asthma and hay fever symptoms. iPure captures house dust, mould, pet dander, virus carriers and pollen to help reduce symptoms and making breathing easier.